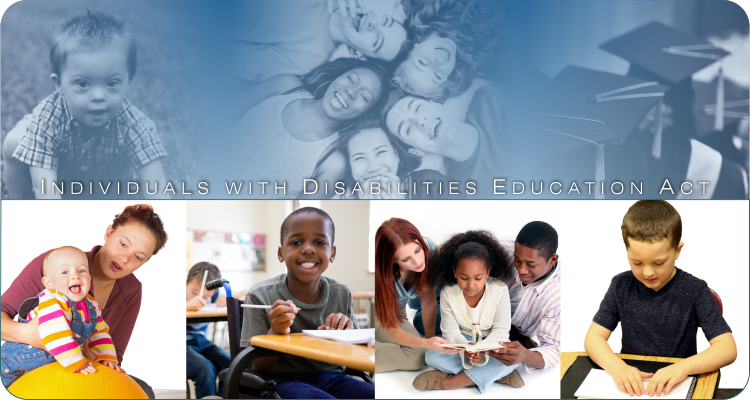 Welcome to the U.S. Department of Education’s Individuals with Disabilities Education Act (IDEA) website, which brings together IDEA information and resources from the Department and our grantees. Whether you are a student, parent, educator, service provider, or grantee, you are here because you care about children with disabilities and their families and want to find information and explore resources on infants, toddlers, children, and youth with disabilities. Thank you for visiting the IDEA website. If you have feedback regarding the site, please let us know on our blog.